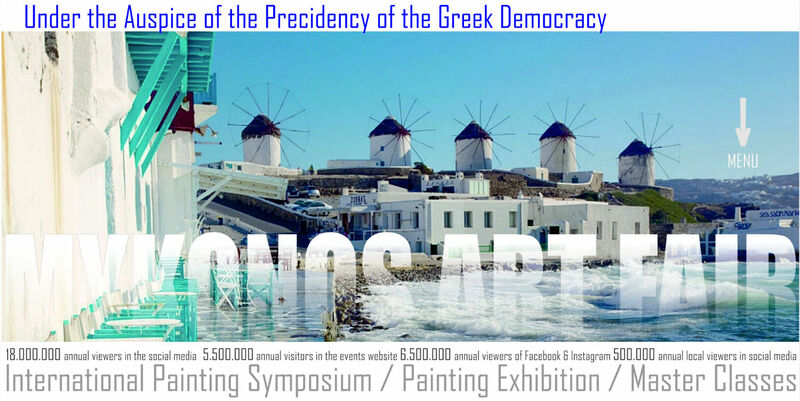 The international Painting Symposiums of Zervas Art founded in 1999 based in the city of Patras, Greece under the Aegis of: UNO, UNESCO, Greenpeace, Action Aid, Medesines Sans Frontiers with over 6.000 professional high level participant artists from over 70 countries. It Is a live artistic / scientific project which supports the communication between countries and people despite the differences or similarities. Distinguished Artists and Professors from the whole world create in parallel, communicate, collaborate and live together the great artistic experience under the dialogue with the maternal language of ART. The Unforgettable moments is the base of the Academic Congress which supports the creation faced with the “white canvas”.